Family Lore: Confused by all the changes coming in on the 22nd? Where to find the answers. Confused by all the changes coming in on the 22nd? Where to find the answers. We may be on the cusp of history, but there are an awful lot of changes happening in family law, and an unprecedented amount of new material for practitioners to assimilate. Thankfully, however, there are a number of good resources around the net, which should make the task just a little bit easier. I thought I would set out here all of the ones that I have found, together with links to original materials. Jordans Family Law - A page bringing together the essential information regarding the forthcoming family law reforms, including the single family court, Children and Families Act, CAP, PLO, etc. Family Law Hub - A summary of the key changes for finance and divorce cases that will kick in with implementation of the single Family Court, including the distribution of business. Single Family Court - family justice system reforms - A brief summary of the new family court. The single Family Court – essential update - A useful, and occasionally amusing, update "designed to give family law professionals a summary the key changes happening on 22 April 2014." MIAMS - essential update - This article summarises the essential points you need to know about MIAMs for the 22 April 2014. 10 things you need to know about family law reform - Geraldine Morris at LexisNexis lists ten important things about family law reform in 2014. What do you need to know about the updated family court forms? - Updated court forms anticipated to take effect from 22 April 2014. Public Law Outline and public law proceedings materials - As the title says. Child Arrangements Programme and private law proceedings materials - Ditto. Public Law Outline (PD 12A) – essential update - Likewise. Child Arrangements Programme (PD 12B) – essential update - Some of the salient points to note in the CAP. The Children and Families Act 2014 – essential update - A summary of the need-to-know points for 22 April 2014. Children and Families Act 2014 – A Guide for Public Children Lawyers - Explains the changes introduced by the Children and Families Act 2014 of most interest to public children lawyers. The Law Society Family court resources page - 'Dedicated tools and resources for solicitors working in family courts', including new family court documents and other resources. A consolidated version of the FPR is available here. Crime and Courts Act 2013, s.17 - Which establishes the family court. Children and Families Act 2014 - Which includes compulsory MIAMs (s.10), presumption of parental involvement (s.11), child arrangements orders (s.12) and the 26-week limit (s.14). The Children and Families Act 2014 (Transitional Provisions) Order 2014 - This Order makes transitional provisions in connection with the coming into force of provisions in Part 1 and Part 2 of the Children and Families Act 2014. The Crime and Courts Act 2013 (Family Court: Transitional and Saving Provision) Order 2014 - These Rules make transitional and savings provision in relation to the establishment of the single family court. The single family court is established by section 17(3) of the Crime and Courts Act 2013. The Crime and Courts Act 2013 (Commencement No. 10 and Transitional Provision) Order 2014 - This Order is the tenth commencement order made under the Crime and Courts Act 2013. It brings into force sections 17 and 28 of and Schedules 9, 10 and 11 to the Act. The Family Procedure (Amendment No. 3) Rules 2014 - These Rules amend the Family Procedure Rules. The amendments made to the FPR 2010 by these Rules are made under or in consequence of and to support certain provisions of the Children and Families Act 2014. The amendments also adjust service rules applicable to certain private law children proceedings. The Children and Families Act 2014 (Commencement No. 2) Order 2014 - This Order brings into force certain provisions of the Children and Families Act 2014 on 1st April, 22nd April, 13th May, 25th July and 1st September 2014. The Family Proceedings Fees (Amendment) Order 2014 - This Order amends the Family Proceedings Fees Order 2008. The Family Court (Composition and Distribution of Business) Rules 2014 - These Rules make provision for the composition of the family court and for the distribution of business of the family court among judges of the court. The Family Court (Constitution of Committees: Family Panels) Rules 2014 - These Rules make provision for the formation of family panels and for their meetings, chairmen and deputy chairmen and functions. The Justices’ Clerks and Assistants (Amendment) Rules 2014 - These Rules amend the Justices’ Clerks and Assistants Rules 2014 by replacing the table in the Schedule in those Rules, which lists the functions of the new single family court or of a judge of the court which those Rules authorise justices’ clerks and assistants to justices’ clerks to carry out. The Crime and Courts Act 2013 (Family Court: Consequential Provision) (No.2) Order 2014 - This Order makes amendments to secondary legislation in consequence of the establishment of the family court as provided for in section 17 of the Crime and Courts Act. The Child Arrangements Order (Consequential Amendments to Subordinate Legislation) Order 2014 - This Order makes amendments to secondary legislation in consequence of section 12 of the Children and Families Act 2014, which removes the definition of “residence order” and “contact order” in section 8(1) of the Children Act 1989 and replaces it with a new order, the “child arrangements order”. The Family Court (Contempt of Court) (Powers) Regulations 2014 - These Regulations limit the powers exercisable by certain judges of the family court when dealing with an individual for certain types of contempt of court in the family court. The Family Court Warrants (Specification of Orders) Order 2014 - This Order specifies orders of the family court for the purposes of section 125A(3) of the Magistrates’ Courts Act 1980 with the effect that civilian enforcement officers may execute warrants of arrest, commitment, detention or distress issued by a justice of the peace (who will for the purposes of the family court be District Judges (Magistrates’ Courts) or justices of the peace who are not District Judges (Magistrates’ Courts)) for the enforcement of an order of the family court. The Children and Families Act 2014 (Commencement No. 1) Order 2014 - This Order brings sections 10 (Family mediation information and assessment meetings), 13 (Control of expert evidence, and of assessments, in children proceedings) and 17 (Repeal of restrictions on divorce and dissolution etc where there are children) of the Children and Families Act 2014 into force on 22nd April 2014. The Family Procedure (Amendment No. 2) Rules 2014 - These Rules amend the Family Procedure Rules 2010. The amendments made to the FPR 2010 by rules 3 to 44 of these Rules are made to reflect the creation of the family court, to insert a new Part 37, and to make some adjustments to the appeals rules in Part 30. The Justices’ Clerks and Assistants Rules 2014 - These Rules authorise justices’ clerks and assistants to justices’ clerks to carry out certain functions of the new single family court. 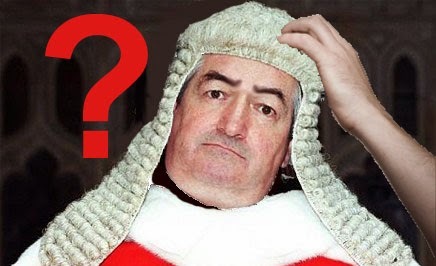 The Crime and Courts Act 2013 (Family Court: Consequential Provision) Order 2014 - This Order makes amendments to primary legislation which are consequential upon the establishment of the family court, as provided for in section 17(3) of, and Schedules 10 and 11 to, the Crime and Courts Act 2013. The Access to Justice Act 1999 (Destination of Appeals) (Family Proceedings) Order 2014 - This Order provides for the routes of appeal from decisions of certain types of judges or other office holders sitting in the family court. 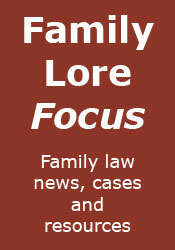 For more on the SIs coming into force on 22 April, see this article on Family Law Week. And if you weren't confused before reading all of those, I'm sure you are now.